First published anonymously in 1912, The Autobiography of an Ex- Colored Manhas electrified readers ever since with its stark portrayal of the color line in America and its daring modernist style. Now The Library of America presents an annotated centennial edition, introduced by National Book Award Winner Charles R. Johnson (Middle Passage). 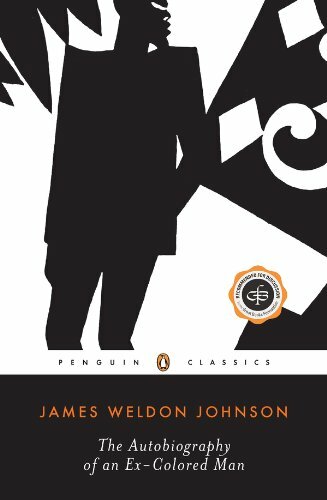 James Weldon Johnson's landmark novel is an emotionally gripping and poignant look into race relations. The protagonist, a half-­white, half-­black man of very light complexion, known only as an ex-­colored man, makes a choice between his heritage, and the art that he loves and the ability to escape the inherent racism that he faces, by passing as a white. Because of his knowledge of both cultures he is able to give us startling revelations into both cultures. James Weldon Johnson (1871-­1938) was an American author whose work extended into politics, poetry, journalism, teaching, music and civil rights activism. He is most famous for his book "The Autobiography of an Ex-­Colored Man", which he published anonymously in 1912. Johnson's works deal with issues of race, particularly slavery, lynching, black rights and interracial relationships. His first collection of poetry, "Fifty Years and Other Poems", was published in 1913 to mark the fifty-­year anniversary of the Emancipation Proclamation. The work was comprised of traditional and dialect poetry, and introduced arguments that would later be influential in the Civil Rights movement. The collection includes "Fifty Years,­" an homage to Abraham Lincoln, the protest poems "To America" and "Brothers,­" and a section entitled "Jingles and Croons" that touch on somewhat more temporal and humorous subjects, but continue to portray Johnson's serious, fervent beliefs.